CULVER CITY, CALIF. (Dec. 16, 2013) – With friendship, teamwork, original songs and plenty of laughs, the beloved characters from the Swan Princess franchise return for a fifth engagement when THE SWAN PRINCESS: A ROYAL FAMILY TALE debuts on Blu-ray Combo Pack, DVD and Digital* Feb. 25 from Sony Pictures Home Entertainment. The all-new, CG animated musical tale is a must-see for the whole family. 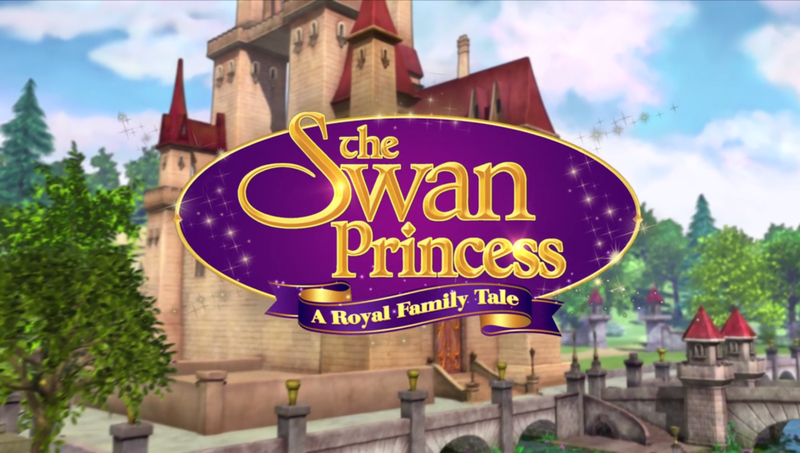 This uplifting installment follows the exciting adventures of Princess Odette and Prince Derek shortly after the Royal Family adopts a young girl named Alise. Princess Alise is soon taken into the forest and Princess Odette, Prince Derek and their trusted woodland friends must work together to find a way to help her return home. 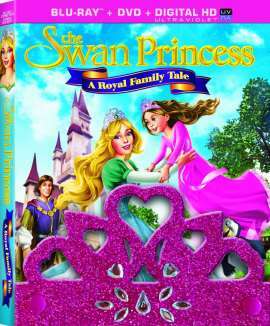 THE SWAN PRINCESS: A ROYAL FAMILY TALE bonus materials include two sing-a-long features to engage fans of all ages: “We Wanna Hear From You” and “Right Where I Belong.” Both specially marked Combo Pack and DVD packages will include a free, sparkly tiara for young princesses, as well as a free Shutterfly Photo Book ($29.99 value) for their moms. Shortly after the Royal Family adopts a young girl named Alise, she is taken away into the forest. Princess Odette, Prince Derek and their woodland friends, Jean-Bob the Frog and Speed the Turtle, must work together to find a way to bring her home to the castle. 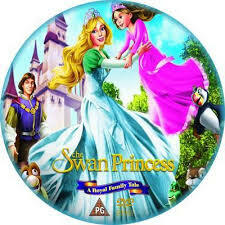 THE SWAN PRINCESS: A ROYAL FAMILY TALE has a runtime of approximately 83 minutes and is rated PG for mild peril. To enter to win, please feel free to enter the Rafflecopter form below. My daughter loves this movie. We dressed her up as the Swan Princess for Halloween one year. She was so cute. She even won a prize at the costume contest in town. I would give it to my niece. my boys would probably enjoy watching it with her. My teen babysits for a little girl who would really love this. She is so girly and loves all the princess stuff. They sit and watch movies together. I’d love this for my kids. The girls love anything princess 🙂 so I know they will love this.Thanks for the chance! My 9 year old daughter. She would LOVE this! She is a big princess and Barbie fan. If i win, i will give this to my nieces. they will really enjoy this. I hope I win! would love to watch it with them! I would love to give this to my niece. She is really into princess stuff right now, and she likes the swan princess movie! I would give this to my daughter! She will love this movie! My granddaughters will love this. That’s a great prize! I hope I win! I have 2 little girls that would love this movie! My daughter would get this dvd. This looks like a cute movie for a family movie night! It looks like one my daughter would enjoy to watch.